stop by and take a look at all the beautiful silver being shared. but I thought the silver lovers might also enjoy it! 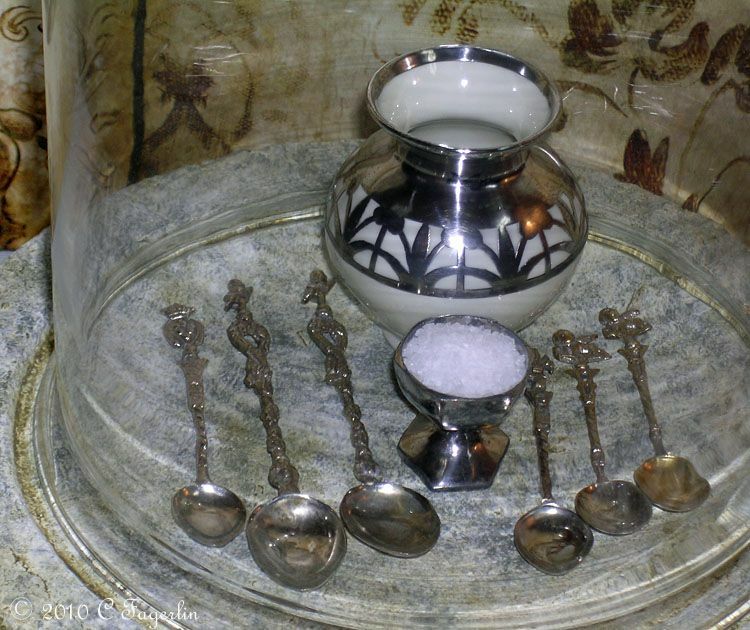 A collection of vintage French demitasse spoons, an American silver salt cellar and a German porcelain vase embellished with silver. They all look very happy together. Such a pretty collection of silvers! Great collection in the cloche! LOve it! Happy SS! Beautiful silver and looks wonderful in the cloche. 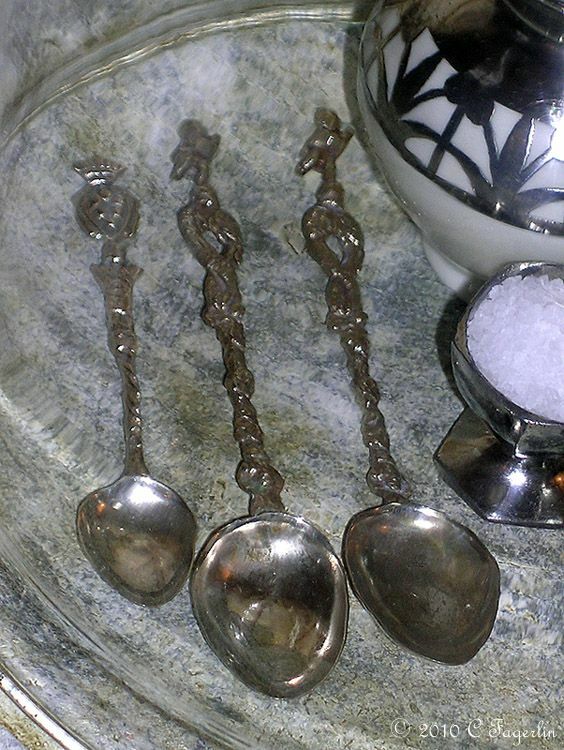 Collector spoons are so much fun! They're like a holiday all on a rack! What a wonderful collection you put together there. I love all of it. That little vase is so unique and beautiful. I've never seen one like it. I love the way you have showcased your silver collection...under glass. The salt cellar is adorable. Thank you for sharing. A beautiful collection. It looks fabulous under the glass cloche. What a wonderful way to display your treasures! 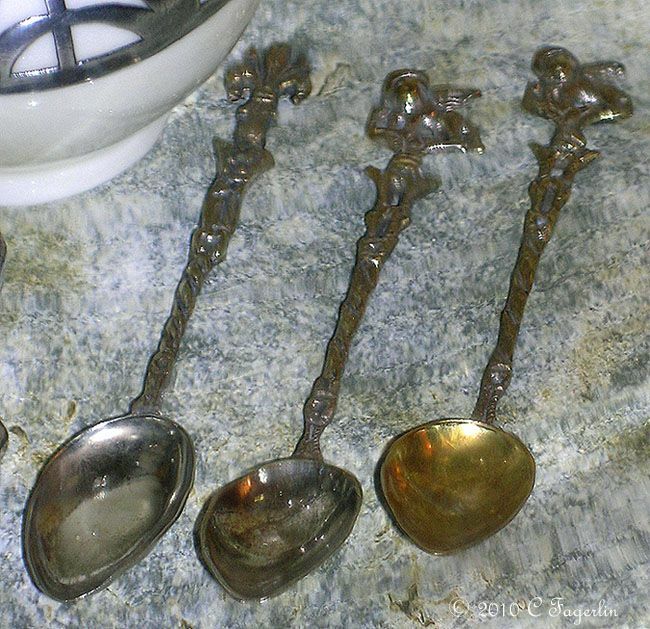 I love the spoons...so ornate and delicate! Thanks for sharing! 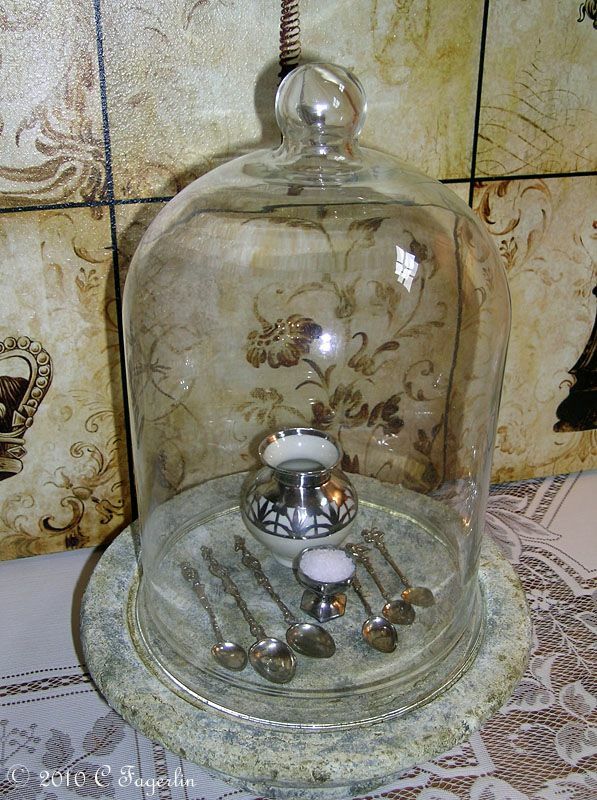 Very beautiful...I love displaying treasures in cloches! Makes them seem even more special! Great silver pieces..they are very unique. Love your collection of spoons...sumptuous! Thanks for coming...see you next Sunday! I really like the little demitasse spoons. Thanks for sharing. Anything looks more special under glass. Thanks for sharing. Wow, such beautiful silver. I love how you put it under the dome, that looks so good!!! beautiful collection! 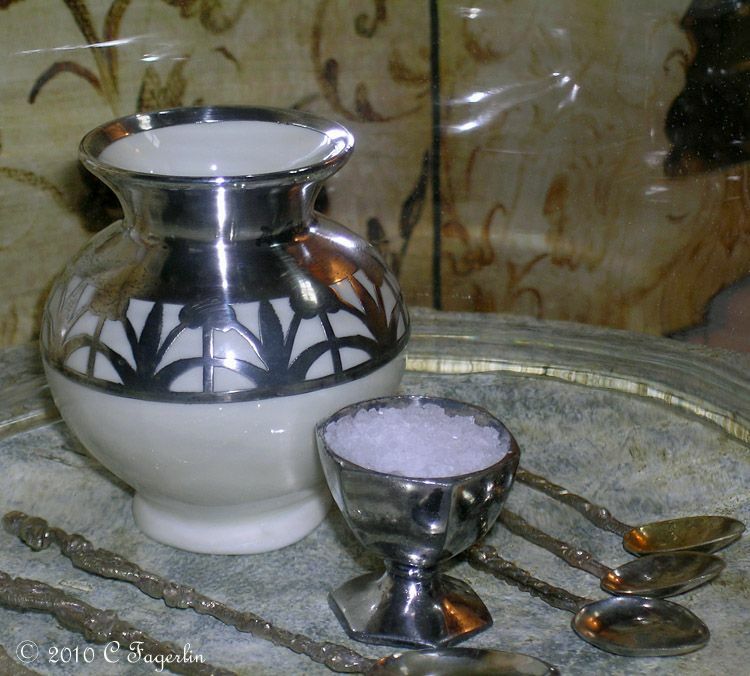 i love salt cellars, yours is gorgeous! How cute are those spoons!!! Thanks to you all for your so nice comments on my little silver fantasy. And a special Hello! back to another Candy .... there aren't a lot of us around!